Russia has suspended the memorandum of understanding on flight safety in Syria with the United States amid the US missile strike on Syria’s Shayrat military airfield, according to the Russian Foreign Ministry’s statement. 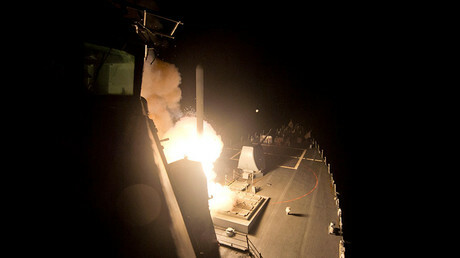 The US launched some 60 Tomahawk missiles at the Syrian military airbase in the Homs governorate early on Friday. The attack came after US President Donald Trump pinned the blame for an alleged chemical attack in Idlib on Syria’s government. The Russian Foreign Ministry firmly dismissed any allegations of chemical weapons use by the Syrian military, saying Syria’s government does not possess any such weapons. This was confirmed by the Organization for the Prohibition of Chemical Weapons (OPCW). The incident in Idlib was a result of an air raid by Syrian forces, which hit a facility where terrorists produced chemical filled shells for usage in Syria and Iraq, Moscow believes. “The US pretends it doesn’t get obvious things. It turned a blind eye on terrorist usage of chemical weapons in Iraq, which Baghdad officially reported. 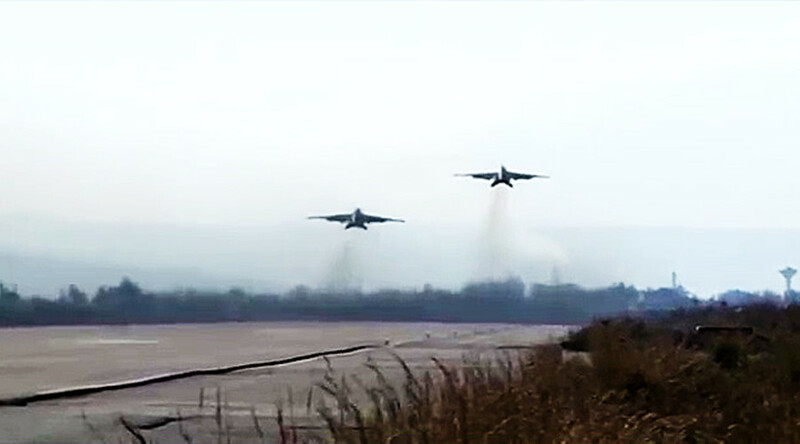 It dismissed documented cases of terrorist chemical warfare usage in Aleppo. All this does is abet international terrorism and bolster it,” the statement reads, adding that new terrorist attacks “with weapons of mass destruction” are now to be expected. The US missile attack in Syria reminded Russia’s Foreign Minister Sergey Lavrov of the 2003 Iraq invasion by the US, the minister said during a press conference after the Commonwealth of Independent States (CIS) meeting. “This reminds us of the 2003 situation, when the US and the UK, along with their allies, intervened in Iraq without approval from the UN Security Council, which was a blatant breach of international law,” Lavrov said. The US rushed to pin the blame for the chemical warfare incident in Iblib on Syria’s government, but did not bother to provide any evidence for such claims, Lavrov said. “Which brings us back to the thought that Al-Nusra Front is regarded by the West as an organization that should be preserved,” he stressed.